Brad's "Breathe Easy" Bud Cap has proven to be extremely effective against deer browse! • Very lightweight, semi-rigid, poly mesh slip on with a stay open top. • Measures 2 3/4" x 6". Size of the cap allows for more growth. Comes in bundles of 100. * Designed for one application prior to photo-degradation. • Open the top with your fingers, squeeze the seams and slip over the leader leaving room for bud growth. • Hold securely in place with 1 staple parallel to the stem at the bottom of the cap on both sides of the terminal leader (not through the stem). 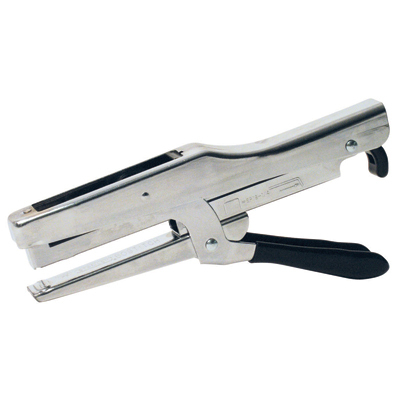 • When you squeeze both seams together, the top opens up and will stay open when stapled. If the top doesn't open you are squeezing and stapling the wrong way. • Designed to install ,walk away, and Breathe Easy! • Low cost, silviculturally correct. • Prevents browse over winter. • No moisture retention or build-up, removing the threat of mold and mildew. Guaranteed drainage and positive air flow. Less heat build-up within the cap. • Positive ventilation results in less flapping and less "wind catcher" damage. Terminal leader is sheltered from desiccation. 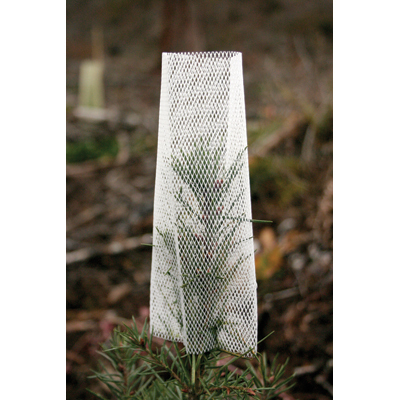 • The tight mesh configuration provides a micro-climate shade factor that shows better vigor and bud development. • Can be applied in any weather condition, on the assembly line at sorting, or in the field after planting. If you are currently including bud caps in your deer & elk browse protection program and haven't seen the Breathe Easy cap, please let us send you a sample. We think we've come up with an economical and effective device with initial installation and performance reports being very positive. Call Toll-Free 1 (877) 736-5995 or email Brad at bradm@pacforestsupply.com. Nearly 4 MILLION Bud Caps SOLD! "Your Bud Caps worked perfectly. I used them on pine seedlings that were 5-7 years old. Almost 0% deer damage when I have been battling deer for years." "I've used other kinds of Bud Caps. 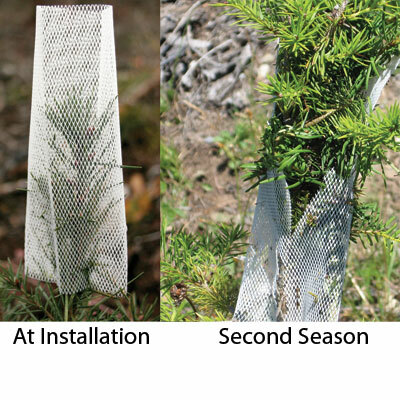 These work the best and are best for the trees."